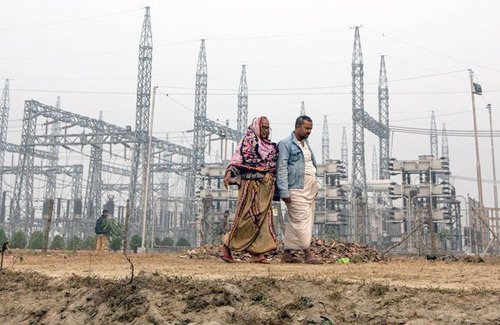 The Asian Development Bank (ADB) is to help finance increased transmission capacity of a cross-border electricity link between India and Bangladesh which will allow Bangladesh to better meet sharply rising power demand and support increased power exchanges across South Asia. ADB's loan of $120 million to Bangladesh will double the capacity of the existing interconnection system which links the power grid of Western Bangladesh at Bheramara and the grid of Eastern India at Bharampur. The two networks were first interconnected in 2013, under a previous project financed by ADB. New transmission capacity will rise from 500 megawatts (MW) to 1,000 MW. "There are power surpluses and shortfalls across the region and this project assistance will help these two countries move forward to better utilize their energy generation capacities and to support the broader goal of South Asian regional energy cooperation," said Anthony Jude, Director, Energy Division, in ADB's South Asia Department. Bangladesh's fast-growing economy has soaring energy needs but domestic natural gas supplies cannot keep up with demand, resulting in an increasing dependence on oil and diesel-based plants. To meet its goal of providing electricity for all by 2021, the government is working to increase generating capacity and to source additional supply. The initial linking of the two national grids helped India deliver over 2,000 gigawatt hours of electricity across the border in 2014. For its part, India is rapidly scaling up its power generating capacity, including from renewable sources like solar, and some regions have surplus energy. In addition to Bangladesh, India also has transmission links with Bhutan and Nepal and engages in bilateral electricity trades. Strengthening of regional interconnections is a step forward in the development of a South Asian regional electricity grid and will facilitate energy trade between countries in the region.